New Ulm’s own Hermann Monument was named one of Minnesota’s Must-See Memorable Monuments by Prime Advertising & Design! 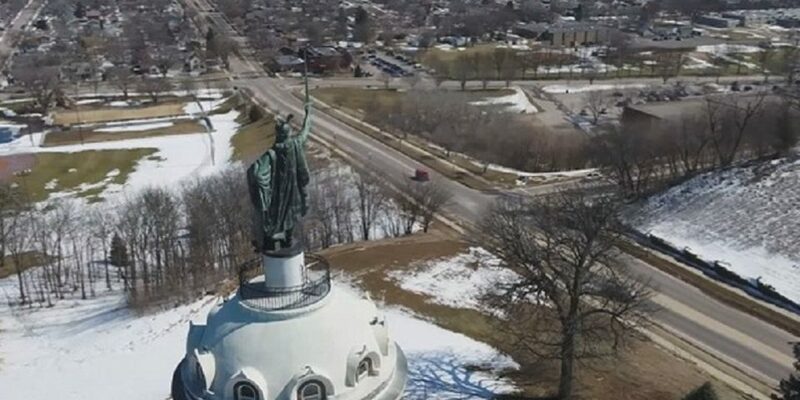 Writer Sara Biren, said the “Hermann the German” monument contributes to, “Minnesota’s rich and varied history.” The 102-foot monument depicts Hermann the Cherusci, who liberated Germany from Roman rule in 9 A.D. Hermann quickly became a symbol of German Independence. In 1887, the “Order of the Sons of Hermann,” commissioned a statue of Hermann similar to the one in Germany. The 4,000-pound statue took almost a decade to complete. In 2000, it was designated by the U.S. Congress as a national symbol of German heritage. The monument is located at the top of Center Street hill at 14 Monument Street. It is open from 10 a.m.-7 p.m. daily from Memorial Day until Labor Day. Visitors can climb the monument steps to get a panoramic view of New Ulm for a small fee. Admission is $2.75 per person, but ages 5 and under are free. Children under 16 years of age must be accompanied by an adult. We are happy to see the Hermann Monument make this list! Whether you are visiting New Ulm for the weekend, the day, or even just passing through, the Monument is definitely a must-see! 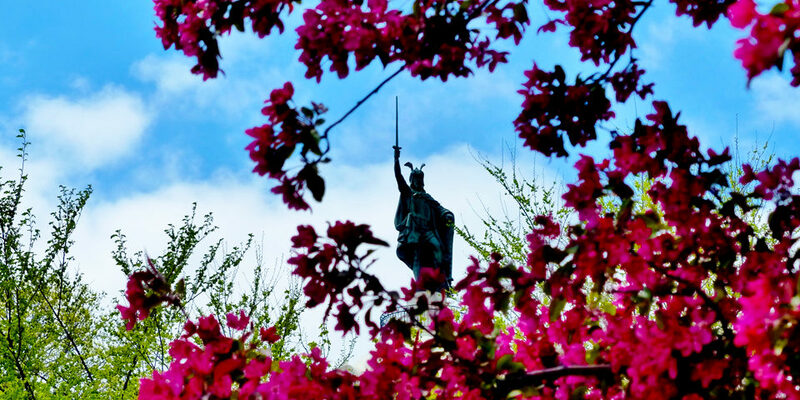 Check the Hermann Monument off your bucket list this summer! Click here to view the full article and list by Prime Advertising & Design!